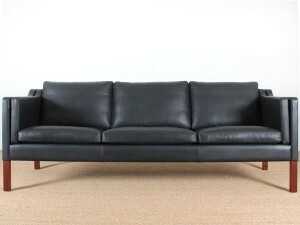 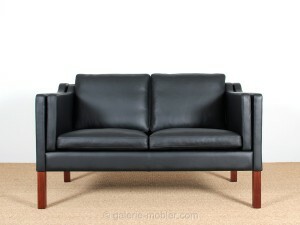 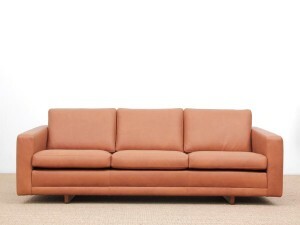 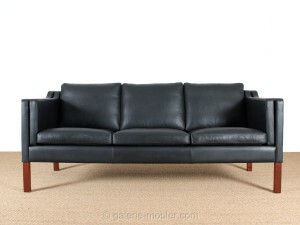 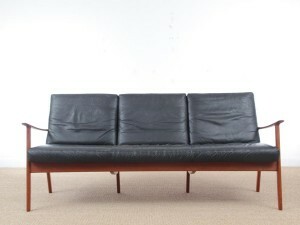 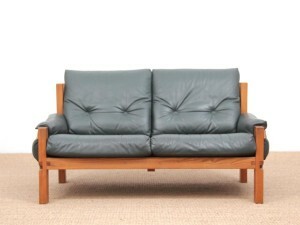 Danish mid-century modern sofa 3 seats by Ole Wanscher for Paul Jepesen in teak and leather. 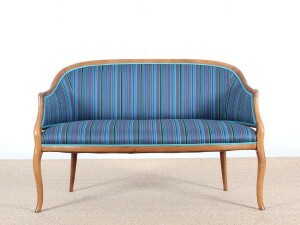 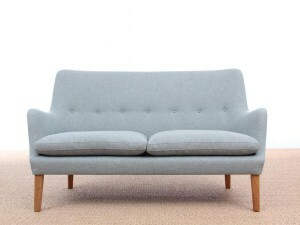 Mid-Century Modern scandinavian 2 seats sofa by Arne Vodder AV 53 new release. 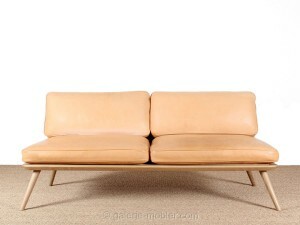 Mid-Century Modern scandinavian sofa by Arne Vodder AV 59 2 seats new release. 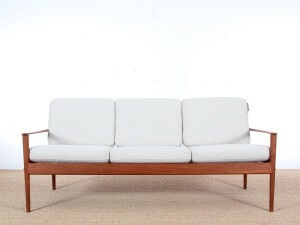 Mid-Century Modern scandinavian sofa by Arne Vodder AV 59 2,5 seats new release. 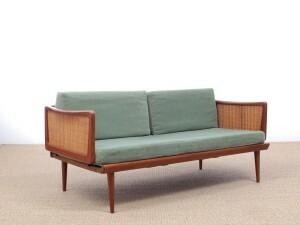 Mid-Century Modern scandinavian sofa by Arne Vodder AV 59 3 seats new release. 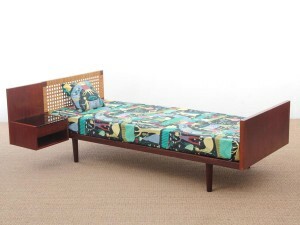 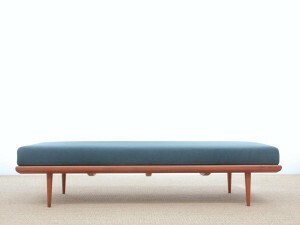 Mid-Century Modern scandinavian daybed by Arne Vodder AV 57 new release. 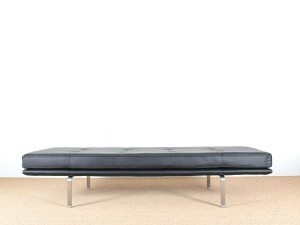 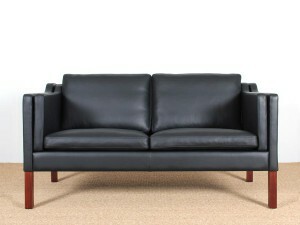 N° 1 Sofa, model 2002 by Borge Mogensen, New edition. 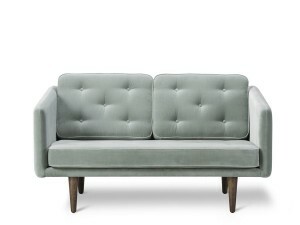 2 seats. 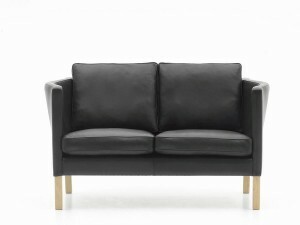 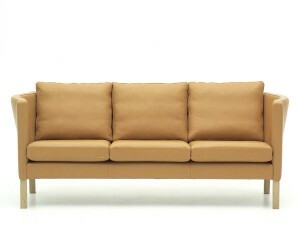 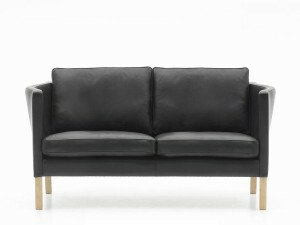 N° 1 Sofa, model 2003 by Borge Mogensen, New edition. 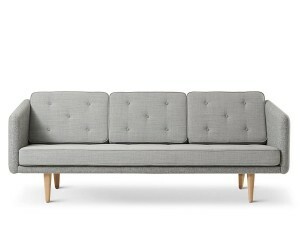 3 seats.